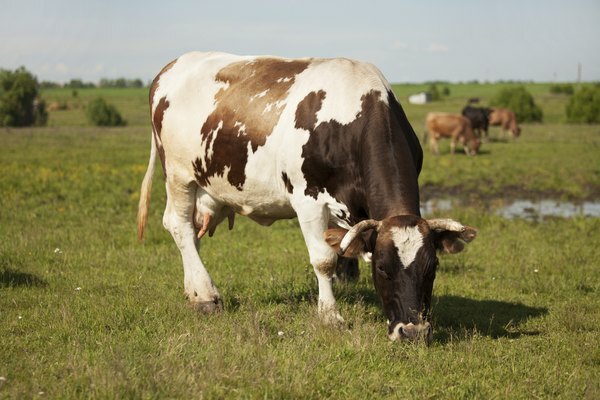 The domestic cow, Bos Taurus, is found throughout the world in groups called herds. 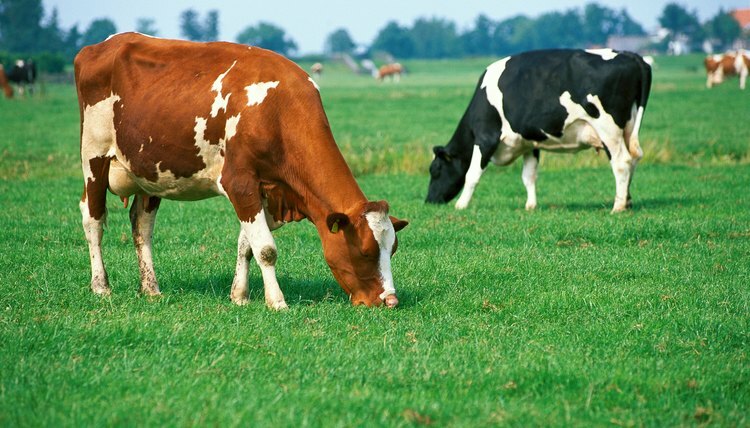 The cow will feed on grasses, stems and herbaceous plants according to the University of Michigan Museum of Zoology. The historic ancestors of the cow were aurochs, a long legged horned version of the cow which were hunted to extinction in Poland by the 17th Century according to the Global Invasive Species Database. The first domesticated version of the cow farmed in herds were in the Middle East between 6,000 and 5,000 B.C. before moving across Europe and Africa. 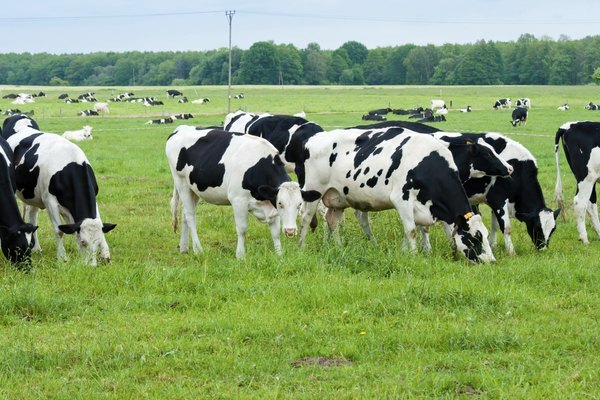 The cow lives naturally on range land, which the University of Michigan Museum of Zoology describes as unfertilized and uncultured lands which provide natural feeding materials for the cow. The nature of the cow means it will modify the habitat into which it is introduced by grazing, trampling and crushing ground vegetation. 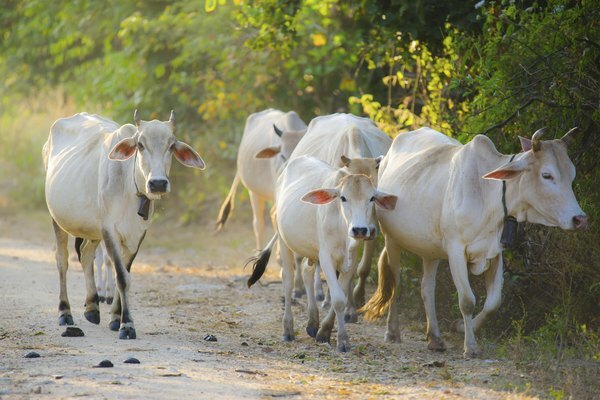 The Global Invasive Species Database reports the destruction of habitats such as forest areas when the cow is introduced. 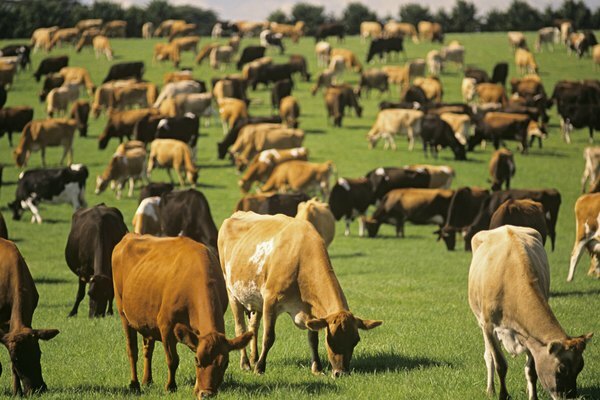 Cattle are found in many areas of the world including North Africa, Europe, Southern Asia and North America. 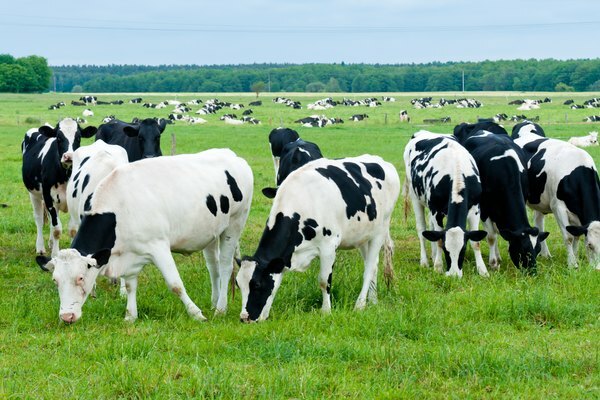 The cow can be found in a domesticated habitat where it is farmed for meat, milk and hide or as feral herds which are hunted for meat and hides according to the Global Invasive Species Database.